Property 1: Hello Spring!Unique and Large Retro / Industrial Apartment in Vlissingen. 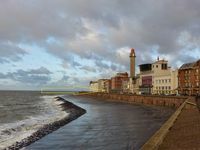 Property 2: Monumental building in the heart of Vlissingen near the sea, boulevard and restaurants. Studio SEA VIEW with stunning sea views, near beach and center. Property 5: Studio SEA VIEW with stunning sea views, near beach and center. So much more like a bed and breakfast! Property 9: So much more like a bed and breakfast! Cozy apartment in a quiet location in the middle of Stad Veere on the Veerse sea. Property 30: Cozy apartment in a quiet location in the middle of Stad Veere on the Veerse sea. Beach, super market and bike rental around the corner! - Wohnung am 1e Stock für 4 personen. Property 31: Beach, super market and bike rental around the corner! - Wohnung am 1e Stock für 4 personen. This apartment is beautifully designed on the inside and the building is really nice. The location and resulting view of the ocean is almost breathtaking. The apartment is very close to all the major things you would want to see while in Vlissingen and the dedicated parking spot available for guests was a nice perk. The hosts were very accommodating and if we visited the area again we would definitely see if there was availability here. Amazingly beautiful and relaxing flat on the North Sea beach! Strongly recommended! 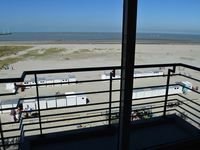 A very nice two bedroom flat with small deck overlooking the beach on the North Sea! Great sofa to relax and watch the ships go in/out of port. Very close to a market and cozy restaurants!